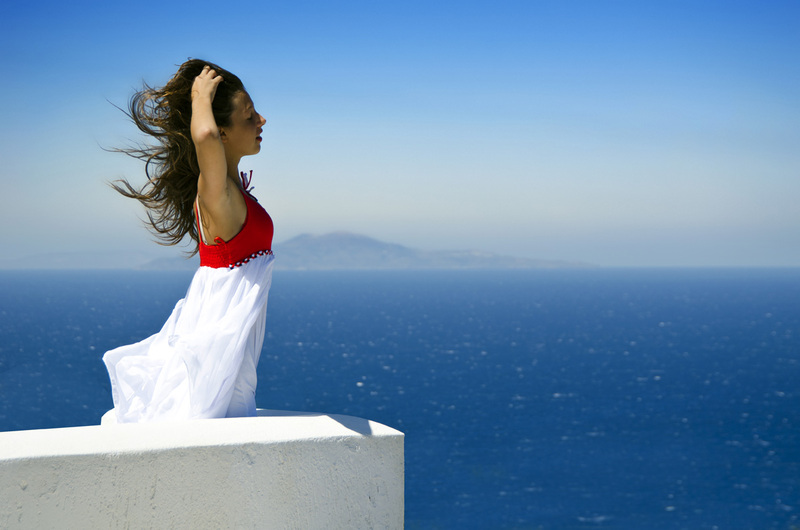 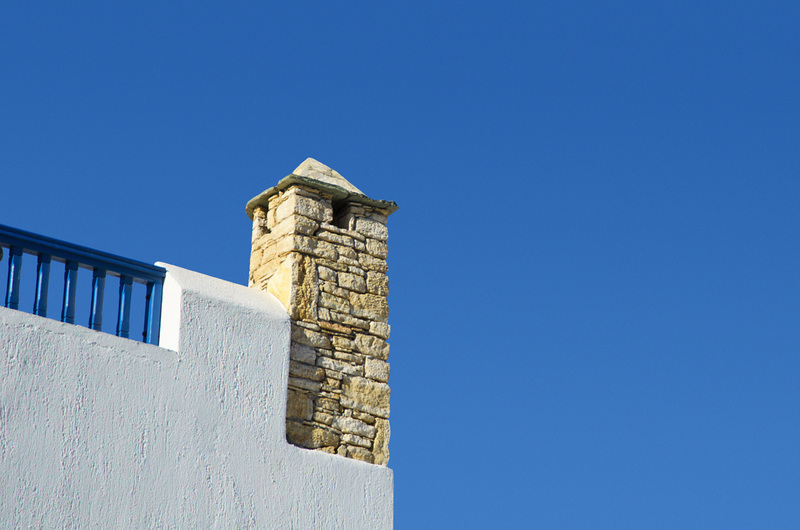 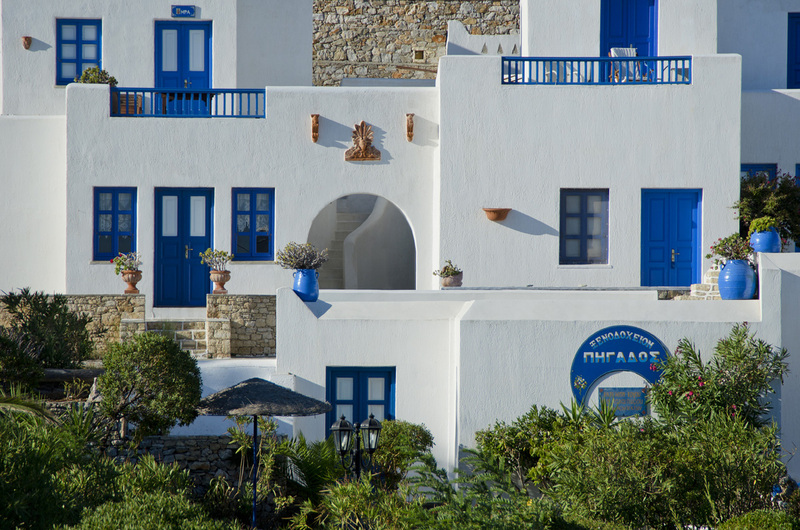 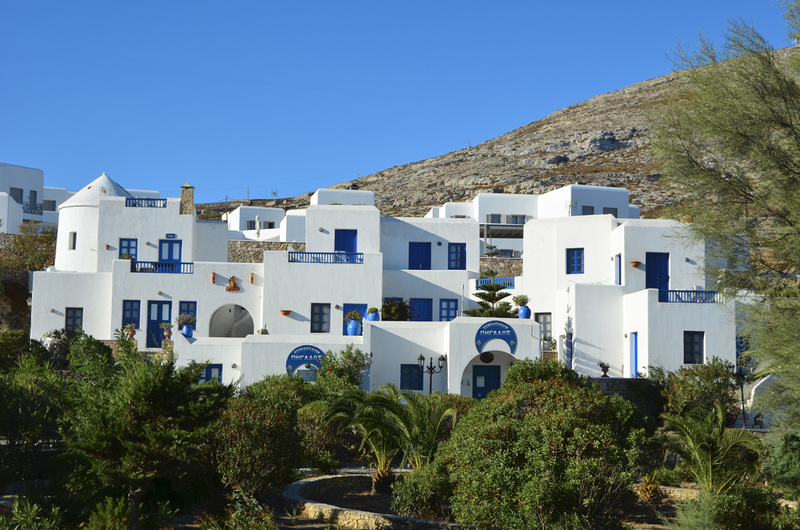 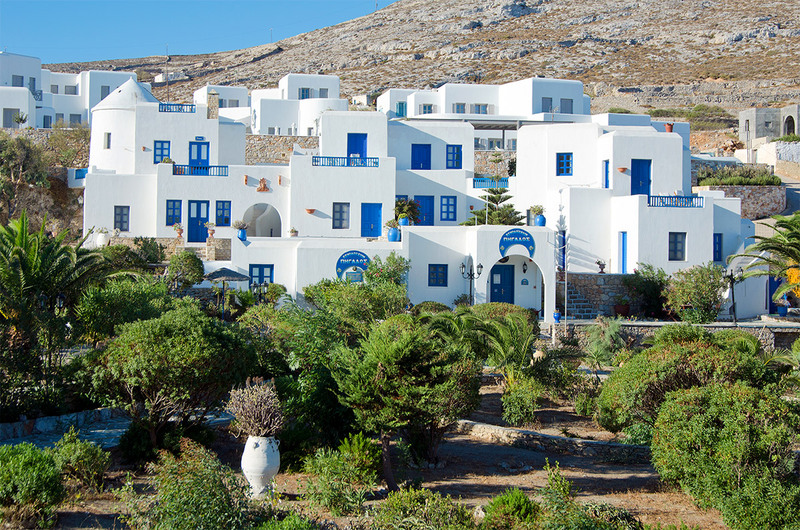 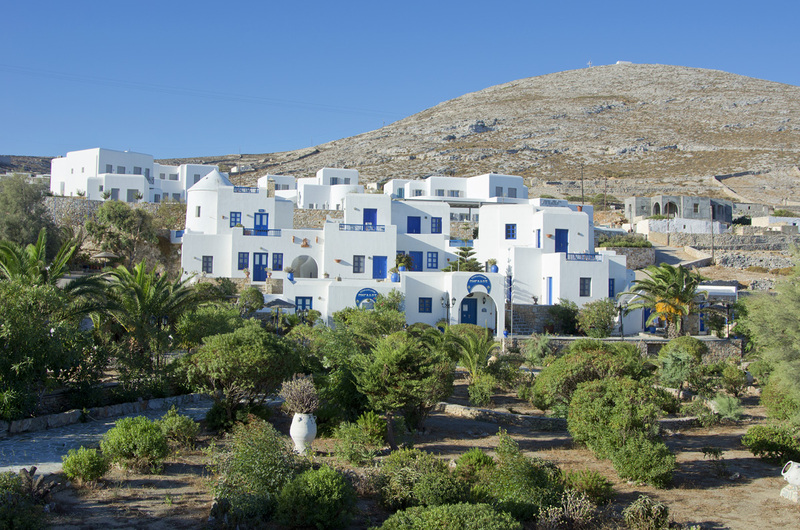 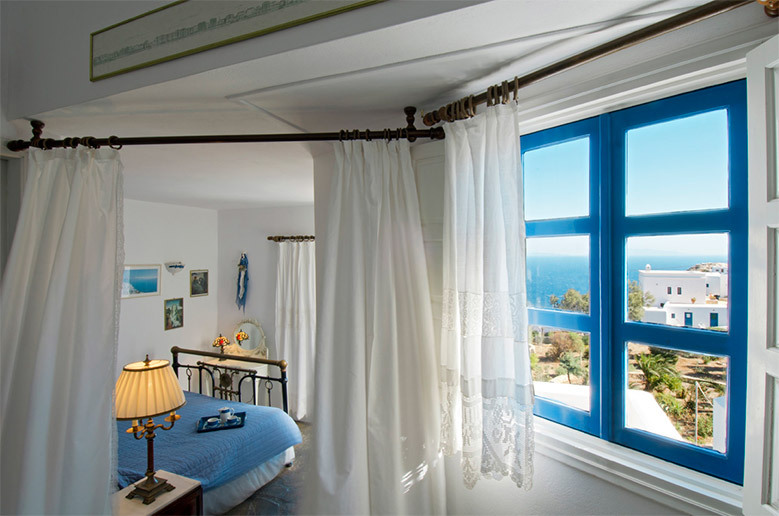 AAll apartments have panoramic and unique view of the Aegean Sea with private and spacious verandas. 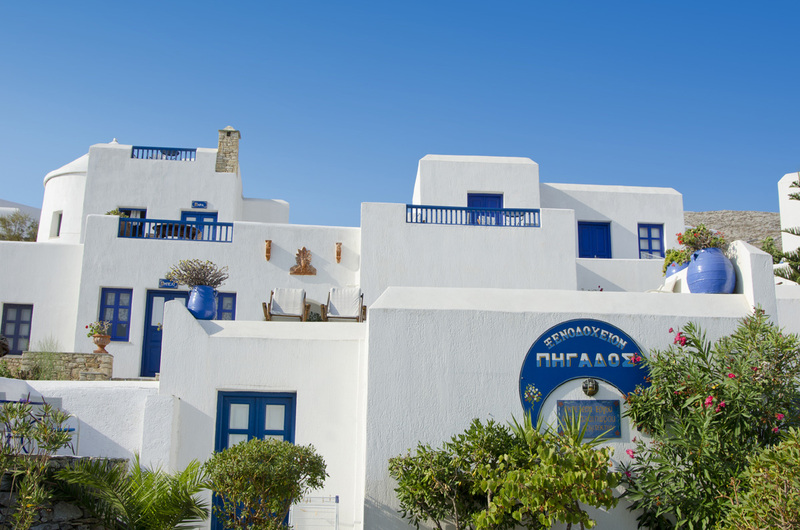 The uniqueness of the apartments is highly recommended because of their distinct personality and character. 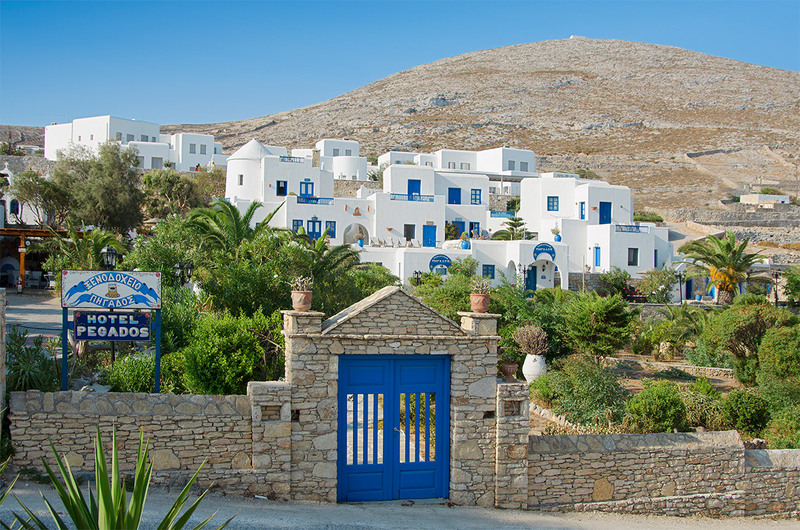 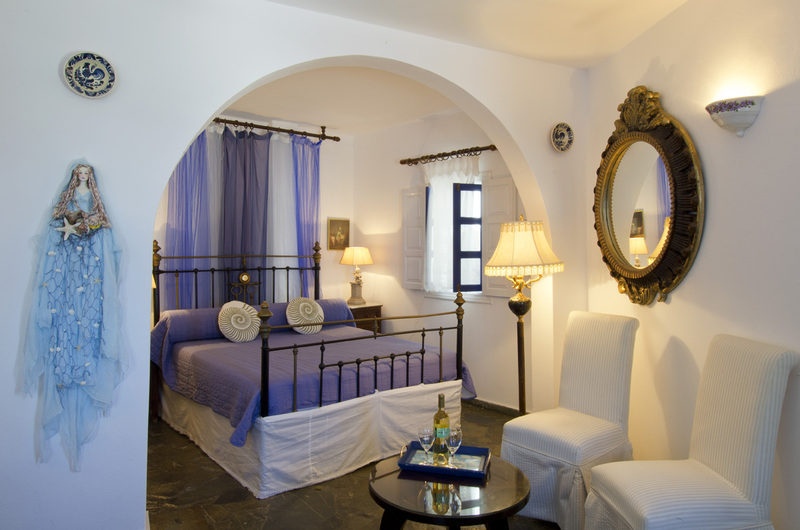 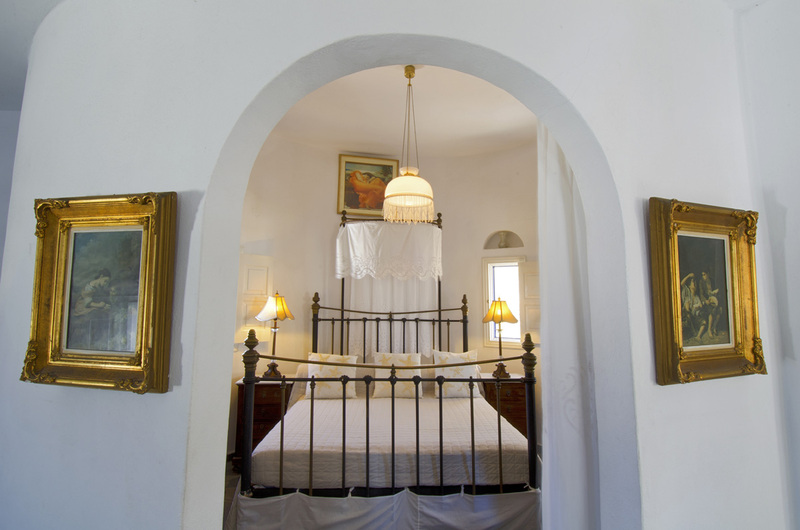 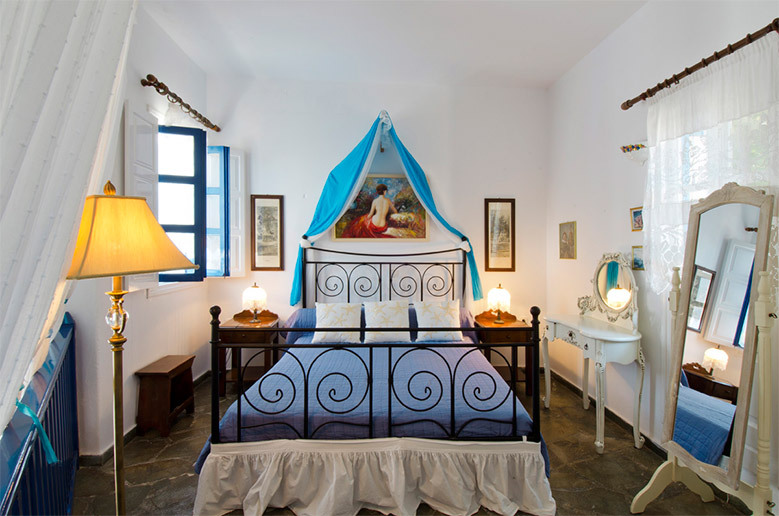 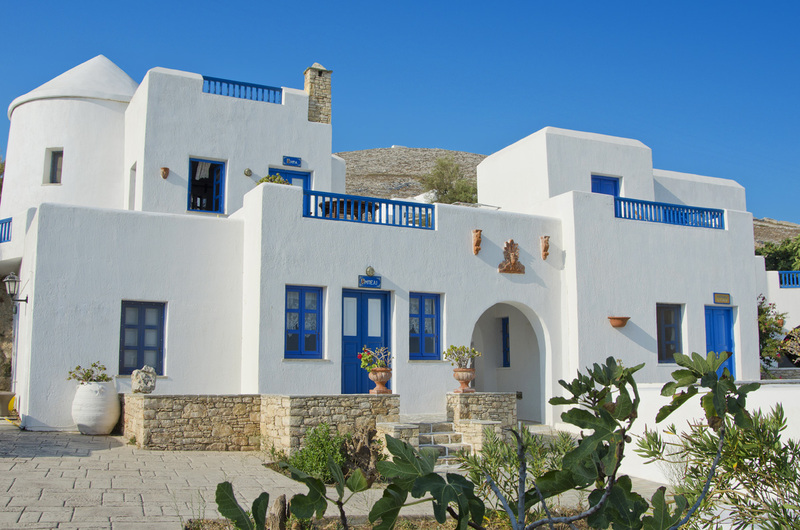 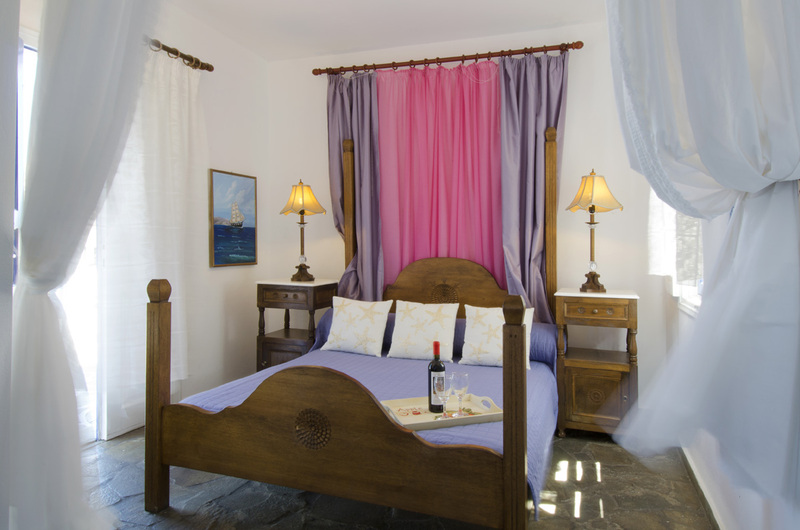 The beds are antiques of Aegean bronze origins, with sky covered by mosquito net and ace bedclothes while the furniture consists of original traditional sofas of the island, and the paintings are authentic works of famous Greek and foreign artists. 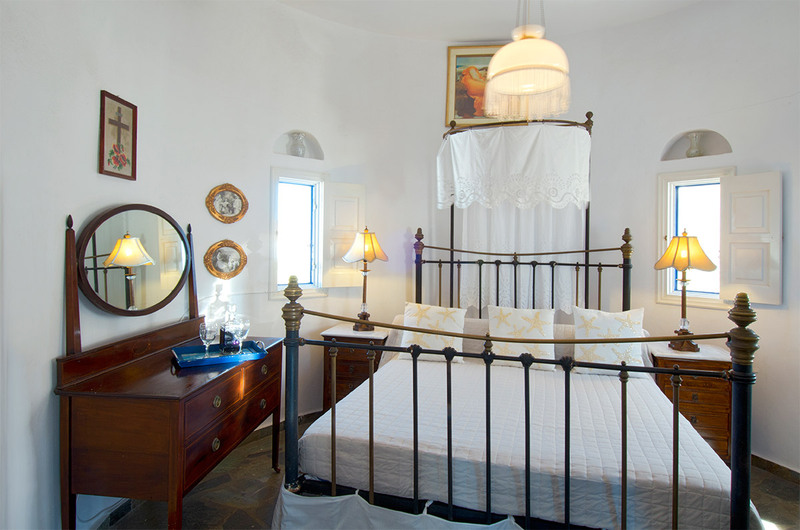 The furnishing has been specially ordered by exclusive strict designs from England and Egypt. In this way, the customer has a constant desire and interest of visiting every year a different apartment.